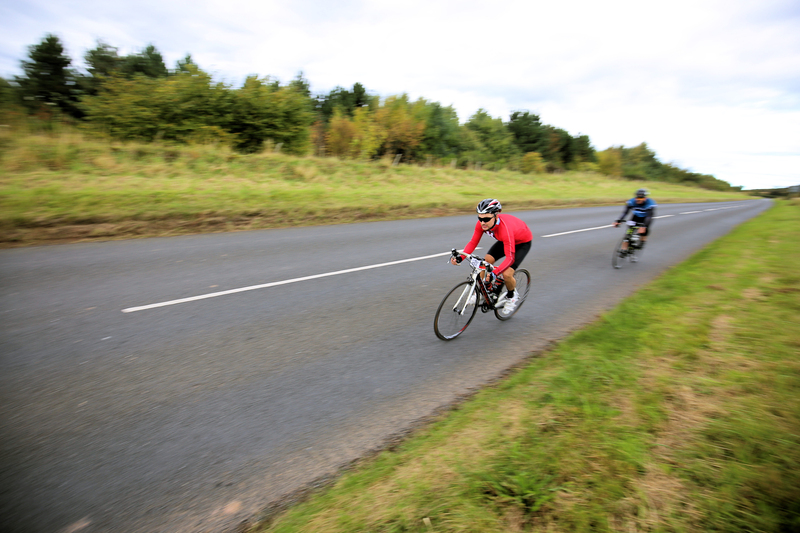 Riders on the 50k event near Chillingham. 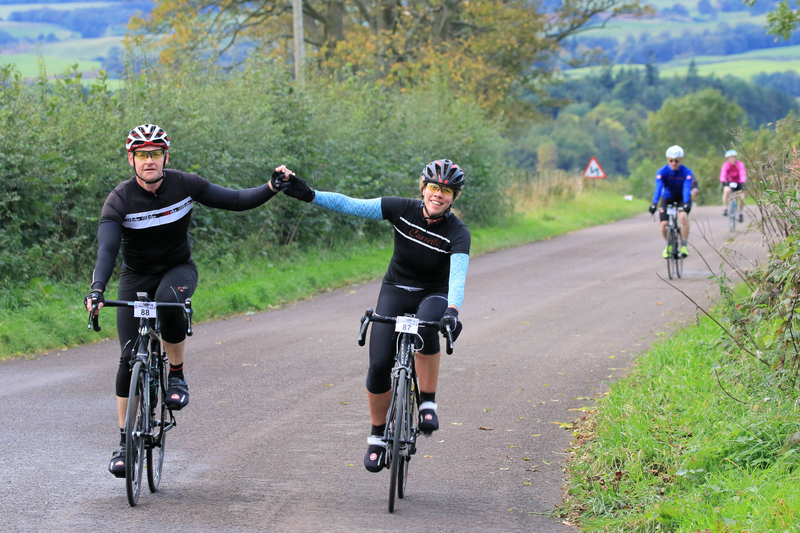 With all their route signs safely tucked away for another season the last Wooler Wheel Cycle Sportive of the year took place on Saturday October 7th bringing the total amount raised for charity this year to £5,000. 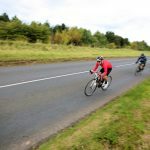 525 riders took to the roads of North Northumberland last Saturday covering 42,500 kilometres across two distances – 100 kilometres and 50 kilometres. 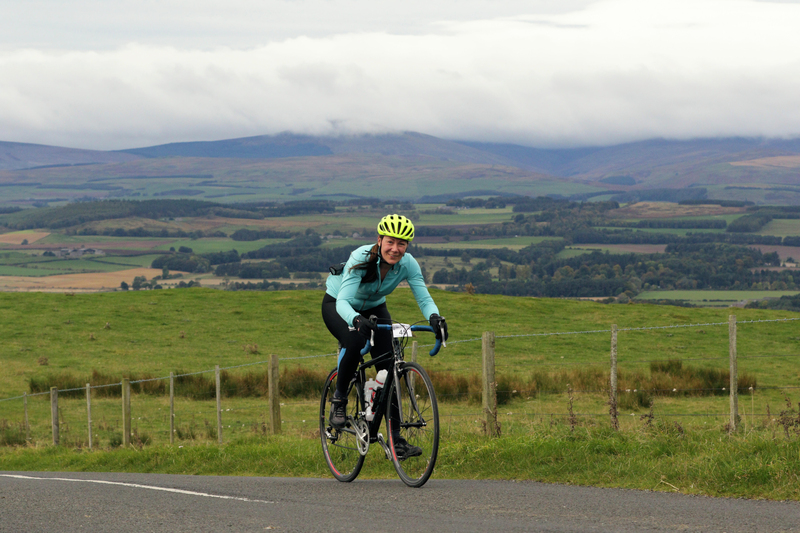 Starting in Wooler both routes meandered their way across the beautiful North Northumberland countryside. 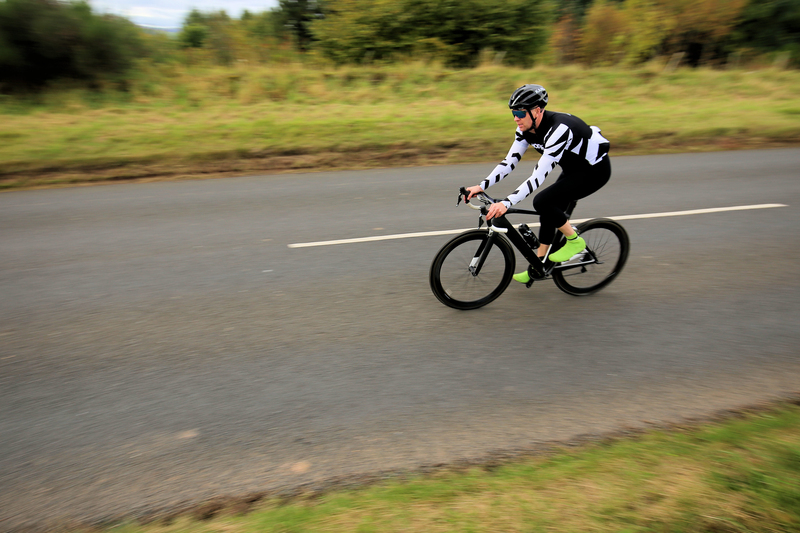 The first test of their stamina was at Lyham Bank where, emulating the riders in the OVO Energy Tour of Britain who had climbed the same hill on September 4th, all the Wooler Wheel riders rose to the challenge and were rewarded with jelly babies at the top. The Wooler Wheel organisers were volunteers at the Cragside King of the Mountain finish and watching the stage on television later were also rewarded with some great shots of the Wooler Wheel banners fluttering in the wind just below the finish line. 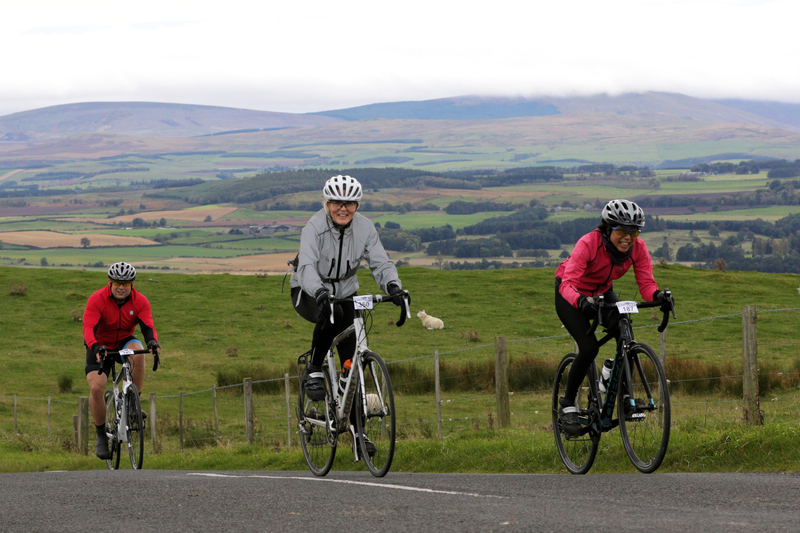 Wooler Wheel organiser, Janet Pibworth, said “watching the professional riders on some of the roads we use for our Classic event made it feel like we’d shared something we’ve always known with the world, and as the slogan on the Wooler Wheel t-shirts says Northumberland – these roads are made for cycling”. 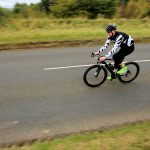 Janet continued “The word to describe the day has to be fantastic – the riders, the marshals, the countryside, the food, even the weather, all combined to make a truly wonderful day for everyone concerned”. 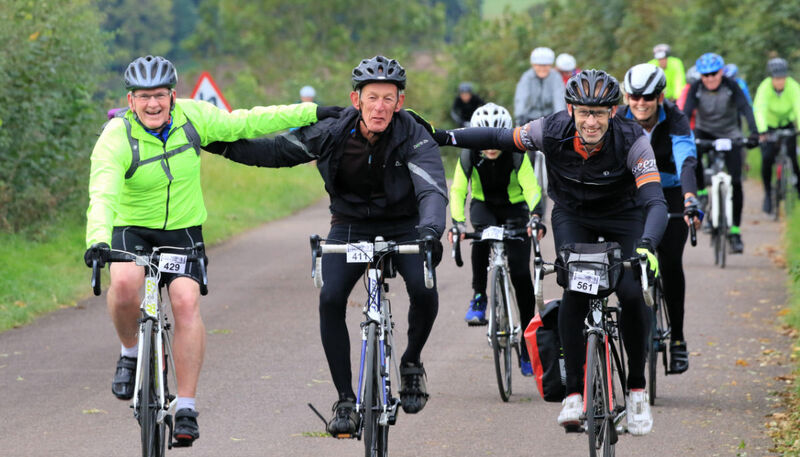 “I have to say a big thank to Harrison & Hetherington who own H&H Wooler Auction Mart, an ideal base for our events; Northumberland National Park, Edinburgh Bicycle Co-operative and the Great Northumberland Bread Company for their continued support of our events. And let’s not forget Brenda and the girls who provide the hot meal at the end, which, as one rider this year said, “this is the best steak pie ever”. 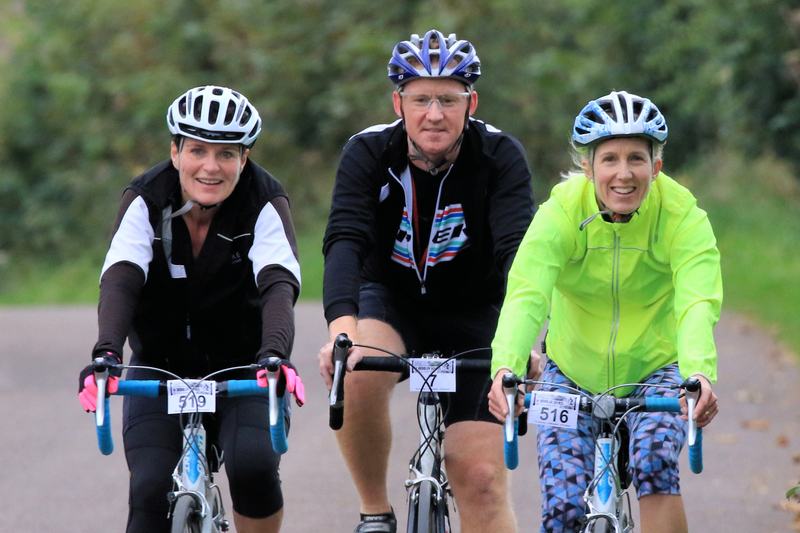 Did you take part this year? Click here to view your time!